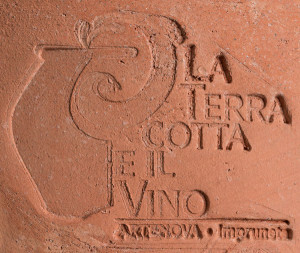 The link between terracotta and wine has its main roots in the Greek-Roman period which sanctioned the use of this material for the transport and trade of wine. 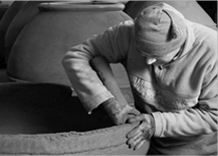 The physical characteristics of terracotta enable excellent results in the fermentation, maturation and storage of wine, and it is due to these aspects that there has been a return to this material of the past by today’s wine producers. 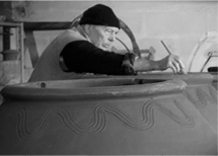 The new trends of the market, the spread of more environmentally friendly farming practices, such as organic and biodynamic farming , the greater sensitivity of wine producers towards the use of natural materials has played a key role in the return to clay. From a technical point of view it is a material that provides excellent thermal insulation allowing the wine to not suffer excessive temperature changes during storage, and its natural porosity allows a benign passage of oxygen determining the optimal maturation of red wines. 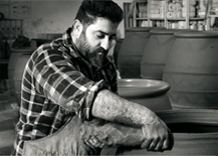 The terracotta from Impruneta has been proven not only to have extraordinary physical characteristics but also chemical ones, allowing it to be used without any worries with regard to exchanges of toxic substances. The experiments done in recent years have made it possible to study the possible issues both from the physical point of view (endurance and transpiration) and from the chemical point of view (chemical exchanges) coming to conclude in the excellent potential of Impruneta clay, a material which has always been widely used for ornaments of great value and durability and used historically in Tuscany for the conservation of Olive Oil. Today, thanks to the experimental work of Artenova, it has found a new location in the wine sector. Impruneta the city of Terracotta. 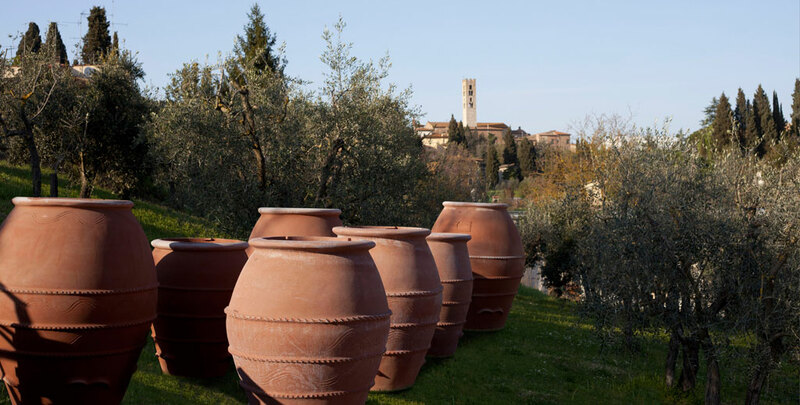 Large Terracotta jars fresh from the kiln in the grounds of Artenova. 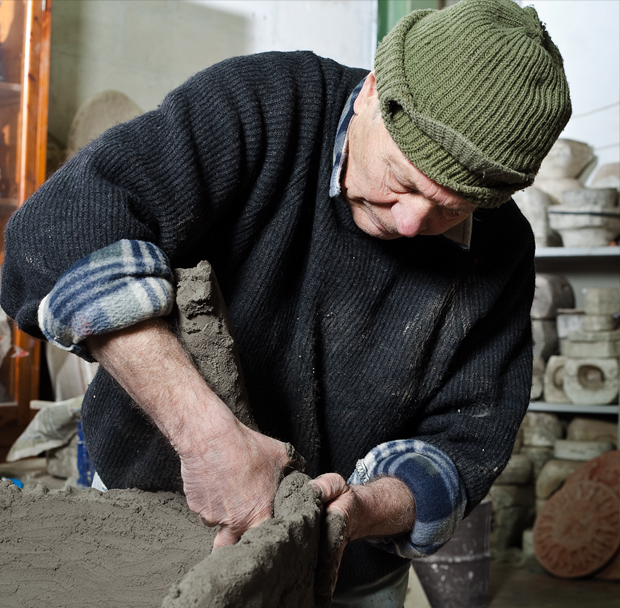 In the background the historical centre of Impruneta , world famous since renaissance times for the excellent quality of its clay. 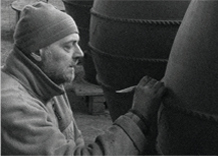 After decades of experience in the manufacturing of artistic and ornamental objects, Artenova decided to address the noticeable decline in market demand, and after a long period of experimentation, began to use the prestigious clay from Impruneta for the construction of large terracotta wine jars. This new direction in business, thanks to the valuable collaboration of various interdisciplinary experts, has met with an immediate international success. To date Artenova is the only kiln in Italy to produce vessels for making wine and counts among its clients, not only numerous Italian wine producers, but also producers from countries all over the world (USA , Australia, New Zealand , France, Canada , Austria, Serbia , Albania, South Africa etc. ).